This mixture contains 5 different preservatives designed to preserve particles, pulses and nuts in bulk quantities. Use 5 flat table-spoons for 1 kettle (+- 1.7 liter) water. Soak, cook and store in the water. Bag contain enough preservative for up to 10kg cooked particles. 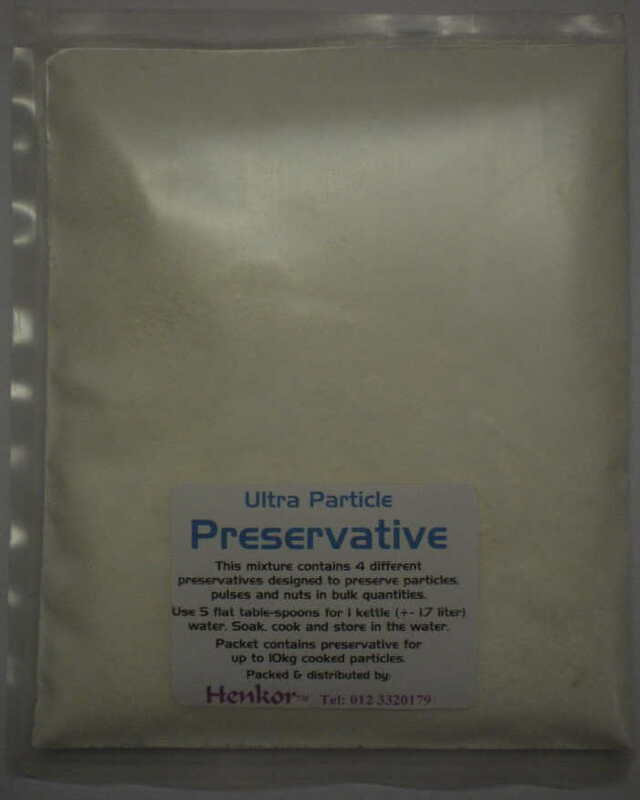 Bag contain enough preservative for up to 50kg cooked particles.